30 DAYS QUESTIONS: #27 WHICH AUTHOR WOULD YOU LIKE TO HANG OUT WITH FOR A DAY AND WHY? It's J.K Rowling of course! I'd love to live inside her head to explore more about Harry Potter world if I could! I'm a big fan of Harry Potter and if I have a chance to hang out with my most favourite author in the whole world, I'd be very happy. 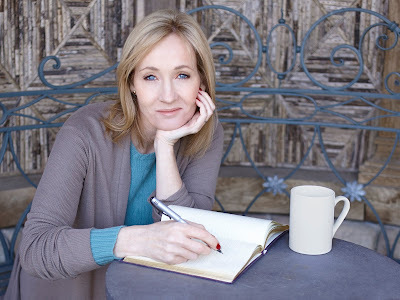 I'd be the happiest person on earth because I could talk to her, I could ask her more about Harry Potter, I can even ask her about writing tips and stuff like that. Darn it, this question kills me!